Another thing makes the manufacturer claim suspect - rectification and control losses. Putting a clamp meter on one of the motor leads will verify amps driving the actual motor. If the cord end is 15 amp, it was designed for that. Sometimes breakers get weak and trip before the rated capacity. The original motorized treadmills blew a lot of fuses. The joke was You got more exercise running to the basement to flip the breaker on, then you did on the actual treadmill. Our friends had one, and they had a start up procedure for it so they could have the light, tv and treadmill working all at the same time without tripping the breaker. The original motorized treadmills blew a lot of fuses. Nice to know I have an ‘original’. I haven’t yet figured out what to do with it. Might make a good post hole digger. But that ‘elevator’ motor with the gearbox and acme screw! That made the whole deal worth it. Why don’t you just use the treadmill like this? But that ‘elevator’ motor with the gearbox and acme screw! Those are just waiting to be repurposed! Is it multispeed gearbox or does it use a motor controller to change speeds? 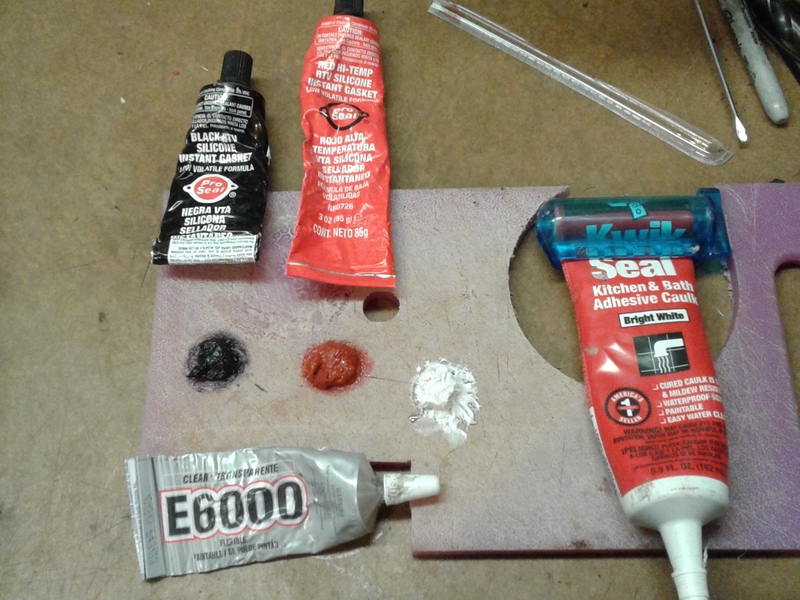 I found some good stuff to patch rust holes in gasifer or cooling rails. Its "shoe goo ". This is tougher than silicon and sets up fast, you can drive in less than a hour after patching. Thanks Jim, I have looked at a tube of that stuff and wondered if it would work. I’m putting a tube of shoe goo in the truck. I have kept shoes going for years with that stuff. You are right about it being tough stuff. I don’t know how much heat it will stand but i know that it will stand more heat than is ln the hopper or cooling rails. 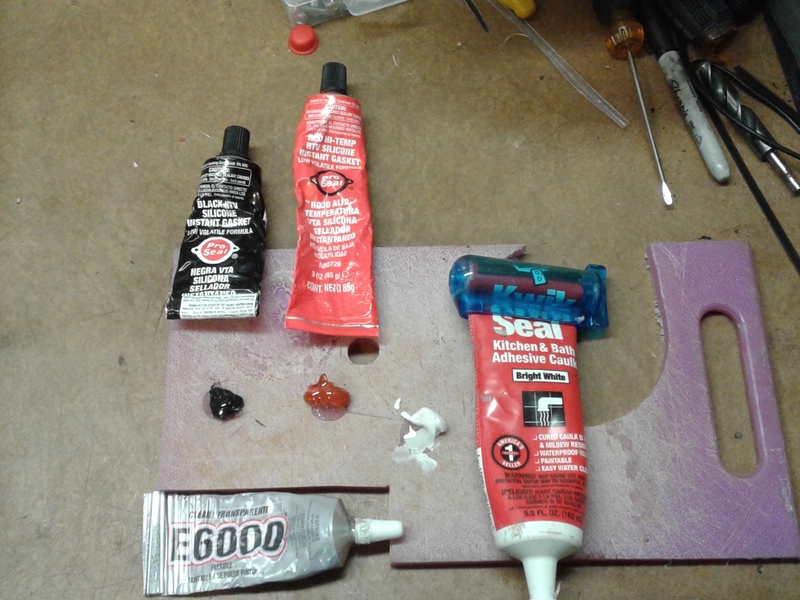 I wonder if shoe goo and silicone will mix together that would form a quit drying type patch glue. I will go and mix a test batch up and see what it does. Ah, my tube tube of shoe goo dried out. But here is some E6000 glue very similar might be the same stuff under a different name. Mix them up with equal parts. I use “Shoe Goo” all the time. Its holding a leather belt together that I wear daily. It makes a good strain-relief for electrical wire connections. Like Bob said, it dries fast. If you use a big glob let it dry overnight. Works for repairing and re-inforcing those clear plastic slot car and R/C car bodies, along with some strapping tape. If you put some alcohol on your finger, you can “smooth” it a bit without sticking. E6000 is made by the same firm, I believe. “Shoe Goo Fix Everything” = one of my mantras. I mentioned earlier I felt a sticky throttle and that I suspected making tar. It can’t be much because the tb soot is nice and fluffy. But still the throttle plate sometimes doesn’t close and somtimes jams open. I’ve been setting fire to the soot quite often lately and excercised the tb, but haven’t been able to get the plate axle to move as freely as I’d like. Lubing crossed my mind but I get the feeling it would attract even more soot and make goo. Today I sprayed with starting fluid/gas. It evaporates fast and doesn’t leave any goo. The mecanism moves smoothly again - for now. Hi JO, It seems on my throttle body for my auto mixer needs some lubrication on the shaft from time to time to keep it from sticking. 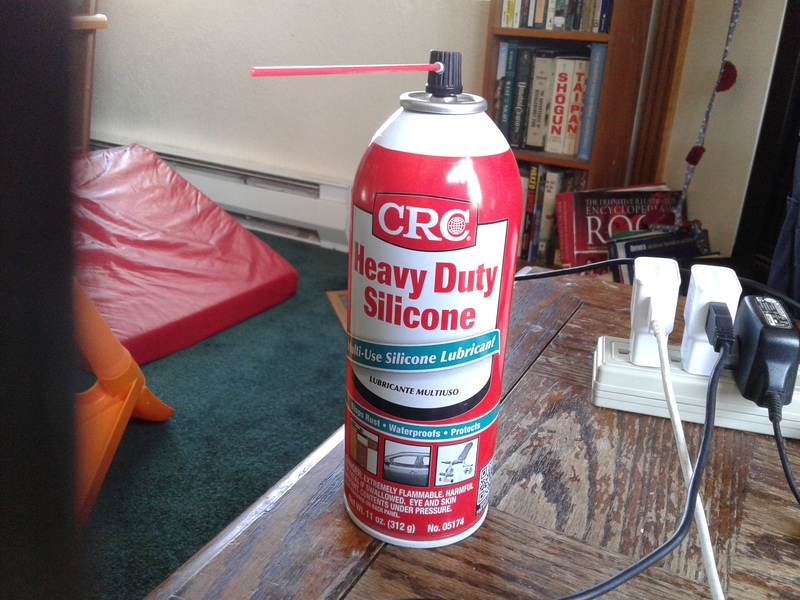 I have been using silicone lubricant spray in a can. It penetrates well leaves no residues. It cleans it when I spray it one too. This is NOT the silicone liquid spray tape for pipe joints threads. Here is a picture of the can that I use. I have used just vinegar to clean electrical connections. I works really well. I have also used vinegar to clean steel before painting. Works well because vinegar is acidic. Thanks Bob, that’s a good suggestion. That kind off silicone is a really anti-stick lubrication. Also it should repell soot rather than attract it. Maybe the entire throttle plate could be sprayed with it to prevent buildup. I wonder what happens next time the torch is put to it. @r_wesseling I’m sure vinegar would clean up good, but I would hesitate using it where there’s such a mix of metals. Hi Jan, Mine does the same thing, copper anti-seize seems to help for a while.I clean first with spray sea foam or kerosene. You can use Coke or most other soda’s for copper and brass as well. I never added the salt before though. If you mix soda, milk and then add salt it fizzes up into a creamsicle looking thing. For electrical connections vinegar isn’t good because it has water in it which can fry stuff. Typically you use 100% isopropyl alcohol which evaporares or I use crc electric connection cleaner. If it is like a pot, then they make a guitar pot cleaner, and it has a lube in it. I had to make a bunch of these little boards. I etched them with ferric chloride, coated them with tinnit, and soldered the components on them. I got very tired of cleaning rosin of of them afterward. So I made sure everything was very clean using vinegar and then just soldered without any sort of flux. It worked great. You just have to let it dry before turn on the electric and you are good to go. Any residual water can create shorts if you power it on when it is wet when you are have a populated board. Otherwise you are fine as you have demonstrated. How are you doing the traces? I thought most people moved to cnc milling to avoid the hazardous ferric chloride. But both are kind of an art form and have their advantages and disadvantages.